RICHMOND, Va. (AP) — When Sharyl Attkisson first began hearing clicking sounds on her phone and her computers started turning on and off in the middle of the night, she thought it was a technical glitch that could be easily fixed. Attkisson, then a longtime investigative reporter for CBS News, didn’t suspect anything more until her sources in the intelligence community suggested that the government might be spying on her because of critical stories she had done. Attkisson alleged in a 2015 lawsuit that former Attorney General Eric Holder, former Postmaster General Patrick Donahoe, and unnamed federal agents conducted unauthorized surveillance of her home and electronic devices in an attempt to determine who was leaking confidential information to her. 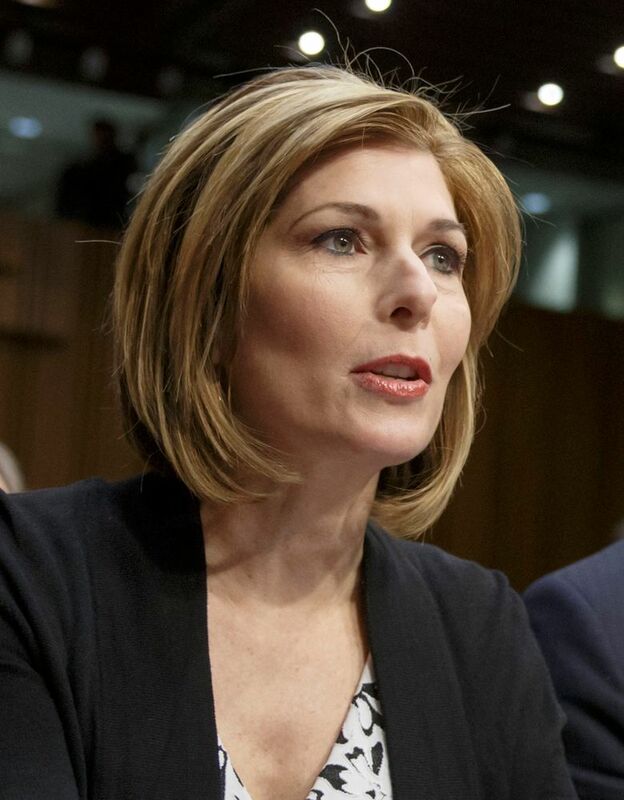 Attkisson’s appeal will be heard Tuesday by the 4th U.S. Circuit Court of Appeals. Attkisson said she, her husband and daughter first noticed unusual activity with their electronic devices in 2011, after she did a story on Operation Fast and Furious, a failed sting operation in which federal agents allowed firearms dealers to sell weapons to straw purchasers in an attempt to trace the guns back to Mexican drug cartels. The U.S. Bureau of Alcohol, Tobacco, Firearms and Explosives lost track of most of the guns, including two found at the scene where a U.S. Border Patrol Agent was fatally shot in the Arizona desert. The operation sparked a political backlash against the Obama administration. Attkisson left CBS in 2014 and is now the host of “Full Measure with Sharyl Attkisson,” a weekly Sunday news program broadcast by the conservative Sinclair Broadcast Group. Government lawyers argue that Attkisson’s lawsuit does not include any evidence that Holder and Donahoe had direct involvement in spying on her. “At best, plaintiffs’ complaint suggests a mere possibility that Holder and Donahoe could have participated in developing or enforcing policies concerning electronic surveillance generally; there are no allegations that they conducted or ordered the particular incursions about which plaintiffs complain,” Justice Department lawyers argue in a legal brief filed in the 4th Circuit. A spokeswoman for the Justice Department declined to comment on Attkisson’s lawsuit. Attkisson alleges that the surveillance violated her rights under the First and Fourth Amendments, as well as the Electronic Communications Privacy Act. The lawsuit says the surveillance was part of a pattern of spying on reporters during the Obama administration to crack down on leaks. In 2012, the Justice Department secretly obtained two months of telephone records of some reporters and editors for The Associated Press. Holder also sought and received a judge’s permission to look through records of Fox News reporter James Rosen’s calls and emails from 2009. “Given the high-profile nature of this case, the fact that the alleged surveillance focused on potential government whistleblowers, and the need for close inter-agency coordination, it is certainly plausible to infer that both Holder and Donahoe would have had direct knowledge of the surveillance activities and indeed likely would have had to approve all such activities,” her attorneys, Tab Turner and Paul Berman, argue in their legal brief. Attkisson went public with her allegations of illegal surveillance in 2013 and filed a complaint with the DOJ’s Inspector General. The FBI and DOJ publicly stated that they had no knowledge of any electronic surveillance of Attkisson or her family. After examining Attkisson’s desktop computer, the inspector general released a “partial report” that noted “a great deal of advanced computer activity” not attributable to Attkisson or her family, but found “no evidence of intrusion” into the desktop. Attkisson is asking the 4th Circuit to overturn the dismissal of her lawsuit and allow the case to proceed. She said the experience disrupted her life and the lives of her family, and also affected her professional life by making some of her sources reluctant to talk to her on the phone out of fear of government eavesdropping. She said she also sees a more significant reason to continue to pursue the lawsuit. “From the standpoint of constitutional violations, I think this is huge,” Attkissson said.